The Woolmark Company and L'Uomo Vogue, an Extraordinary Collaboration. One of Binzento Vincente's correspondents and photographers KO is currently on assignment in Milano for Milan Fashion Week. :) I've been chatting with her via Skype everyday to keep myself up-to-date what's going on that part of the world. I am liking all the photos KO had sent me, while I am busy here doing my assignments as well. As we all know, other than runway shows there are many other events and parties happening around the city. One of them in which KO and our lovely friend Ms. Rania went was the celebration of Day 1 end Milan Fashion Week and the artistic book "The Art of Merino. An Extraordinary Matter". This book is focused on the artistic ability of using Merino (Australian) wool in fashion. 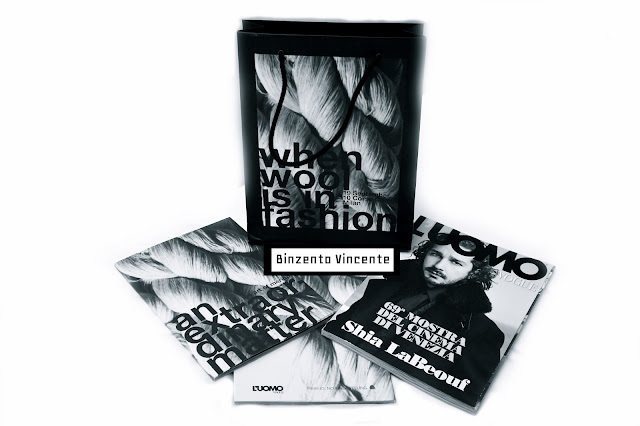 It is a collaborative work between Woolmark Company and L'Uomo Vogue, started 2007 by Vogue Italia editor-in-chief Franca Sozzani. 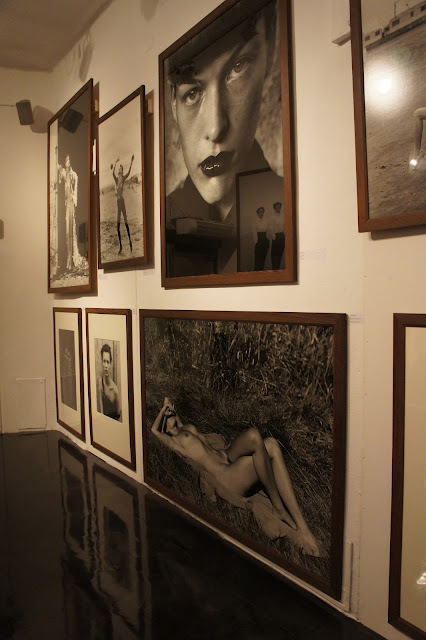 The night's event consisted of photography/ and art exhibition entitled When Wool is in Fashion. Some of the guests of the evening include Donatella Versace, Franca Sozzani, and Paolo Zegna. Most importantly about the book, inside consisted Part I the history of Merino wool. The 2nd part contains impactful editorial shoots by photographer Pier Paolo Ferrari working with 10 international fashion designers' designs based on Merino wool including Thom Browne, Dolce&Gabbana, Salvatore Ferragamo, Givenchy, Marc Jacobs, Donna Karan, Lanvin, Missoni, Diane von Furstenberg, and Alexander Wang. Special note: The Wollmark Company is owned by Australian Wool Innovation - a non-profit organization that look over more than twenty-thousand Australian wool growers, who are also owners of the Woolmark brand, known to produce the highest quality of wool in the world.